The book: "Paths / Sentieri"
The book “Paths/Sentieri” is part of the project "Of Hunting and Nature”. The project started by the photographer Andrea Boscardin in 2014 and still in progress involves not only photography but also: watercolors, objects (finds), texts, maps, illustrations, drawings, videos and taxidermy. 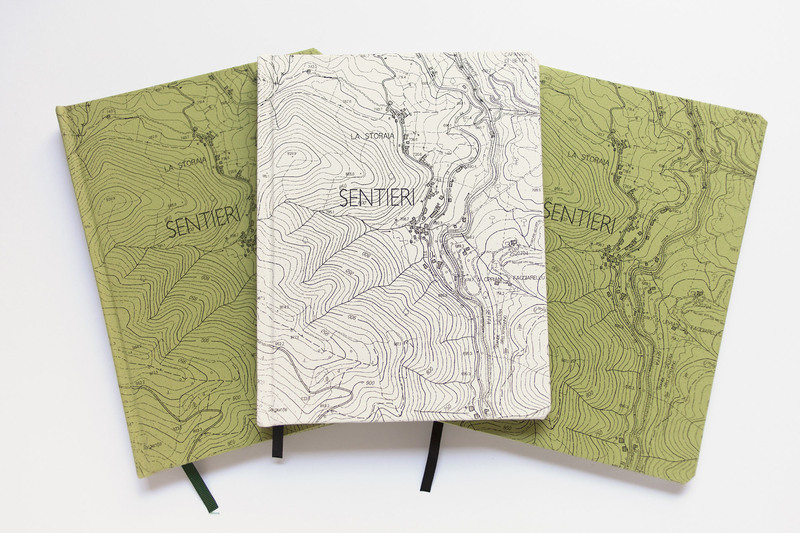 The book “Paths/Sentieri” is mainly about mapping this journey and it’s inspired by a existing diary. The original diary was made by the photographer during three years of researches “on the ground” (2014/2016) though the Italian’s woods of the Apennine Mountains (Ligury and Tuscany). During this time the author decided to write a personal diary as a report. So after each excursion he started to draw the maps of the paths walked, adding notes, data and informations about flora and fauna. The book was born from the idea of mixing the original material coming from the diary with the material realized and collected during the same period: pictures, finds, videos and watercolors. Turning the pages of the book we discover little by little this secret, silent and wild world, like we were hunters, naturalists, photographers or just human beings, looking for traces, signs and little beautiful discoveries. The book concept has been developed in may 2016 in Tokyo during the workshop “photobook as object” at the Reminders Photography Stronghold together with the curator Yumi Goto and the photographer Jan Rosseel. Published in December 2016 by Rumore Nero in a limited edition of 50 copies numbered and signed. This totally handmade edition was made by the photographer in his studio in Paris during the artistic residence at Rivoli, 59 in 2016 and 2017. Author: Andrea Boscardin (photography, watercolors, texts, maps, binding, hardcover).